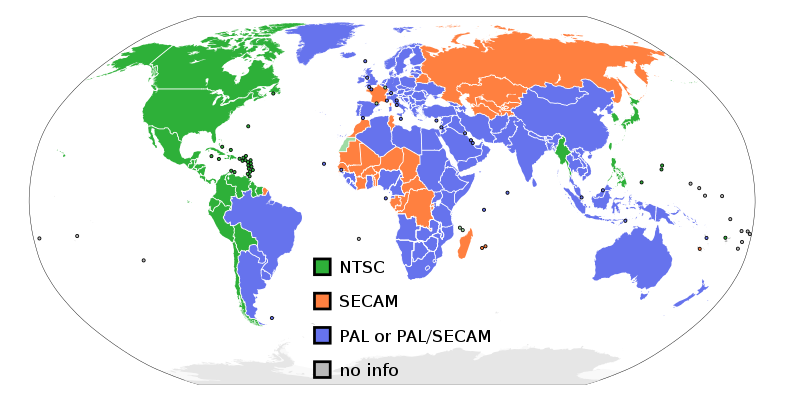 For instance, the NTSC format is used in America, the Dutch antilles, Aruba and Suriname; while PAL is used in the Netherlands. Because of the different formats, videos and tapes are not playable everywhere. The used format of the hardware should correspond. A (video)tape from America (filmed in NTSC) will have to be converted to the Dutch PAL format before you can play it with Dutch hardware.